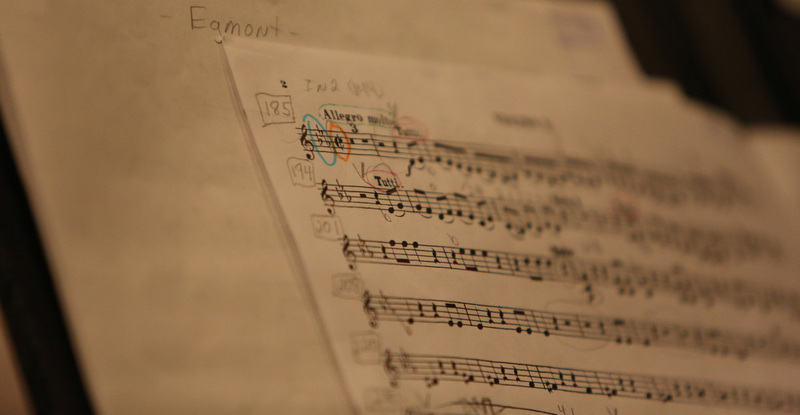 Prepare a solo or orchestral excerpts of your choice - generally about 5 minutes or less of music. Solos could be pieces studied in private lessons, an all-state solo, or standard repertoire for your instrument. The piece or excerpt should show your playing at its best. No accompaniment is needed. Scales - Two scales of your choice, three octaves if possible. String players should play one scale with spiccato bowing. Auditions for string players are primarily to determine if players are capable of handling orchestra repertoire and as a factor in seating. Wind and brass positions are competitive. When signing up for an audition please include in the description what instrument you will be auditioning on. If you are a community player that does not have a Google calendar please email music-info@ncsu.edu with the audition time you would like to sign up for. Click here to sign up for an audition appointment! The Raleigh Civic Chamber Orchestra performs early works of innovative composers - an upclose view as they find their voices and assert their place in the musical universe. The concert includes the World Premiere of award-winning composer Michael-Thomas Foumai’s Music In The High Castle, a dark and compelling tale of an alternate reality that almost was… The program also includes the young Debussy’s charming Petite Suite, and music of the ultimate musical revolutionary: Beethoven’s path-breaking First Symphony. Joining forces with the choirs of NC State, the Raleigh Civic Symphony performs a program of music sure to inspire, excite and overwhelm with its universal themes, musical beauty and sheer sonic power. Prepare to be moved, challenged and uplifted by a program which includes brand new music by composer Phil Kline (Nikolai Tesla: The Opera) and the works of two of music’s most-loved composers: Richard Wagner and Leonard Bernstein (West Side Story).